After my post last week on some tips for for working with large Microsoft Word documents, I figured I would mention another tool I use on a regular basis. Both for this blog, and for documents I write for work I take a ton of screenshots. Editing them, naming them correctly, and saving them to the proper directory is what takes most of my time when it comes to editing screenshots. There are many tools out there, but honestly, I was looking for a screenshot tool with the right price – of free! This tool I use daily is called Monosnap, a free screenshot tool which available for both Mac and PC. Guess what, I use it on both platforms and it works the exact same way on PC and Mac! If you find yourself needing to take screenshots on a regular basis, this is a great alternative to all of the paid software tools out there. It allows you to save files, and rename them quickly and easily, and even edit them with its powerful, lightweight interface. Monosnap is quick and easy to use, no matter if you are using it on PC or Mac. Above is Here’s a screenshot of the user interface you’ll become the most familiar with. 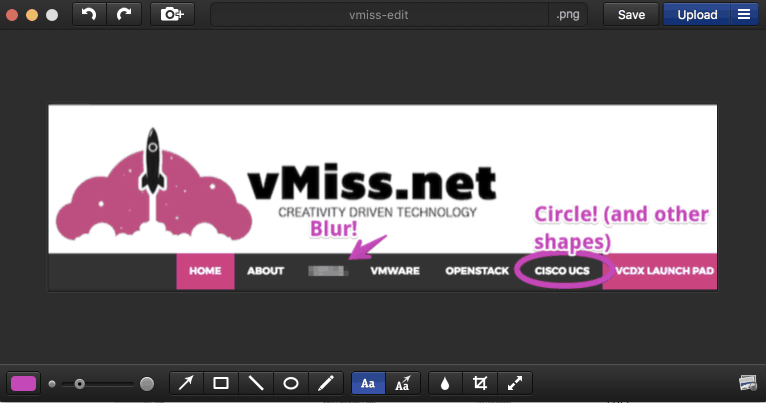 You can easily blur, circle, and add text (of the color of your choice, of course!). Then, you can re-name the file. 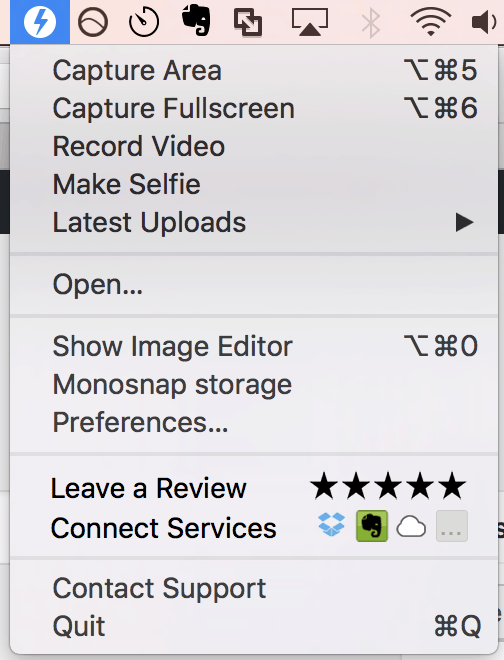 You can also open image files to quickly edit them in Monosnap. The other interface you will use is the menu, pictured in the Mac version above. See the option to Connect Services? Monosnap will charge a fee to connect to cloud services. 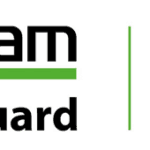 I use the free version locally on my machine, and have had no issues doing so, nor have I felt the need for connecting them to a cloud service. I found Monosnap while working on my VCDX documentation. I was looking for a better solution than just taking screenshots natively on my Mac. I was the queen of letting them all pile up on the desktop, and leaving them there forever. Monosnap makes it easy to save them to a folder, and to quickly name them, in case I need them later (believe it or not, I’ve been in situations where I had to go digging through a million unnamed screenshots months after the fact, and it wasn’t pretty). Best of all? The free version of Monosnap is fully featured, unlike some competing products. You just can’t beat a free, fully functional tool. I don’t have a need to connect it to a cloud service, although I can see the benefit of doing so for some. Monosnap has become one of my go-to tools on a day to day basis. To find out more about Monosnap, check out their website.